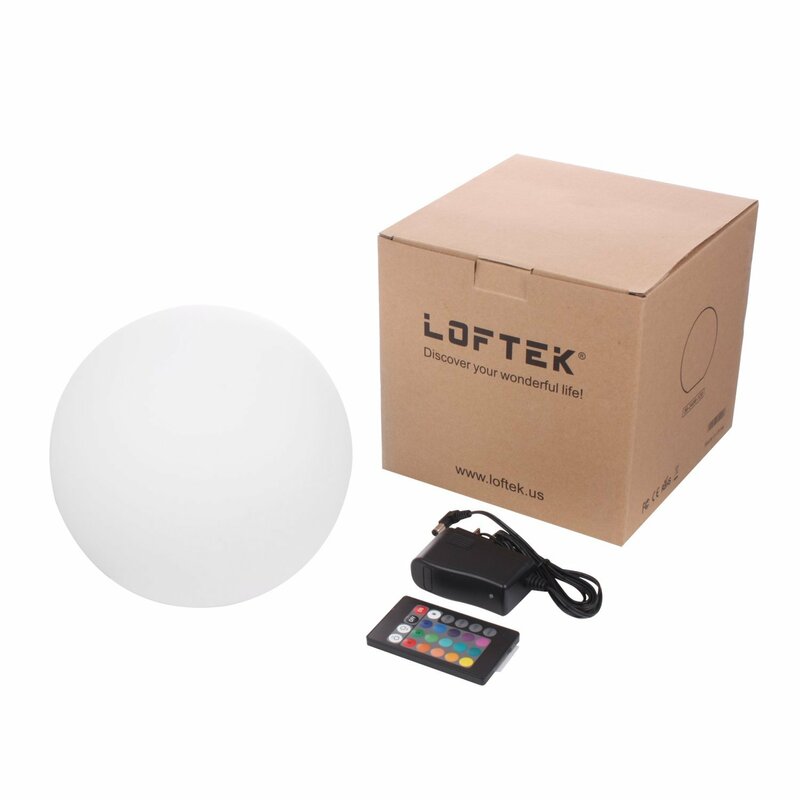 The Loftek LED Ball is a simple rechargeable light which is IP65 rated, meaning you can have it pretty much all conditions. This makes it a great light to have outdoors, whether you’re in a garden or by the water. It features 16 colours, multiple modes and comes with a remote. Multifunctional: 16 beautiful RGB colours and 4 lighting modes; remote-controllable and rechargeable with included AC adapter. Waterproof: IP 65-rated; fully waterproof and dust-protected. Fully usable both indoors and outdoors. The device comes with a sealed charging port at the bottom. The seal is there to ensure the IP65 rating of the device. It easily pops open or closes as you need. It takes around 4 hours to charge the device. It promises a battery life of 6 to 12 hours, but I found it to be closer to 6 than 12. The button at the bottom can also be used to turn it off or on, in case you don’t have the remote handy. The device is powered using the bottom button for the first time use. After that, the remote can easily control the device. It lets you choose the colour, brightness as well as various modes. I found that at times the LED ball was not as responsive to the remote as one would hope. It did work, but sometimes you had to press the button a few times. The device offers you various modes of operation. All the videos above are in real time. 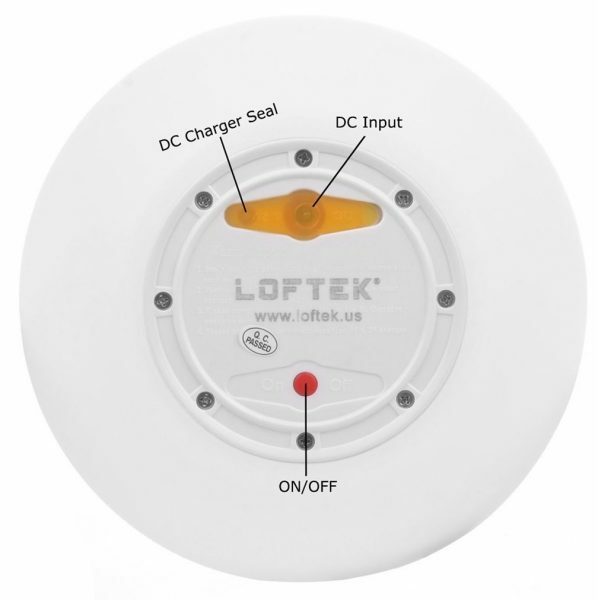 More information on the Loftek LED Ball can be found on its Amazon page. It currently retails for $33.99, down from $69.99. You can find other variations of the device on the page as well. It comes as a sphere, a cube and a few other shapes as well. 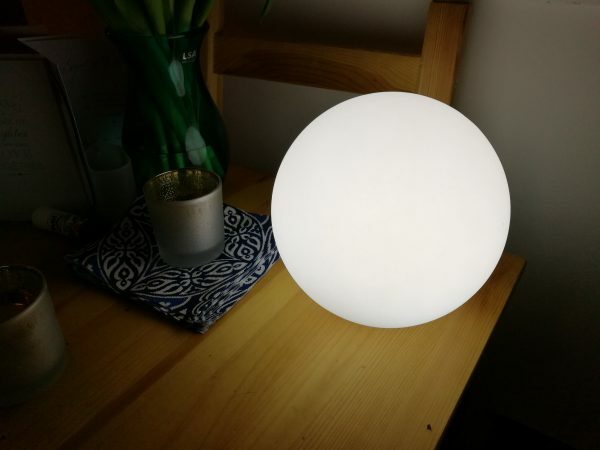 The Loftek LED Ball is a simple light that has multiple uses. A great light to have indoor or outdoor, and being IP rated as well as rechargeable means you never have to worry about it, come rain or shine.